On the bright side, the text is well written in British English, and neatly organized as well. It is based on the successful recipe of the previous book about 10g SOA and it's divided in three parts: the first is a short introduction to the Oracle SOA Suite and its various components, and will give you an fast-paced, but limited hands-on, introduction to each of the key components. The second section provides a brief best-practice guide to applying the various components of the SOA Suite to implement a real-world SOA-based solution; it illustrates this through the development of an auction site (oBay) whose source code is actually missing! The final section covers other subjects, such as the packaging, deployment, testing, security, and administration of SOA applications. On the dark side, some hands on practice although realistic, require a permanent connection to the internet, since currency rates conversion and stock exchange quotes are necessary for testing your BPEL process. These are not always available (I got many "Server too busy" messages) and this might hinder you from completing your practice correctly. Besides, the source code offered publicly, contains only the final solution, but no solutions for the intermediate steps, nor sample inputs for testing, i.e. EUR for the euro currency. Furthermore, the code for oBay application is actually missing and so is its installation guide, mentioned in the text. I think the approach about self contented practice taken by the other competitor: Getting started with Oracle SOA 11g suite is by far better. In fact, its step by step instructions are more exact and easier to follow. In summary, the book offers a sound theoretical basis better than its competitor, but it is so much weaker in guidance and in hands on practice. Moreover, some chapters, such as 18 about business rules, are rather purely descriptive and hence difficult to follow. Whether you need such a book which resembles the free on line Oracle Fusion SOA developer guide manual, it is up to you. It targets developers or technical architects who work in the SOA domain. 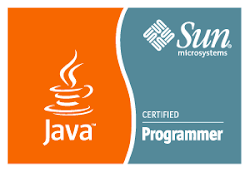 Of course there are some prerequisites, I quote: "You need basic understanding of the concepts of SOA, as well as some of the key standards in this field, including web services (SOAP, WSDL), XML Schemas, and XSLT (and XPath)". Finally, you need a fast computer, preferably with more than 4GB of memory, to setup the SOA suite.